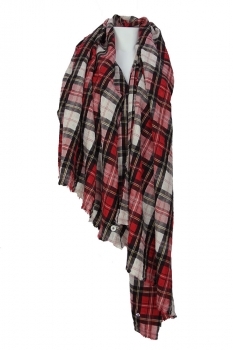 High Tartan scarf, 'Millias'. Raw edges throughout. Buttons with velvet ribbon and crystal with velvet ribbon and metal on corners. 160cm x 110cm.